There are many times, normally when predrinking, that the thought crossed our minds 'Wouldn't it be a real time saver if I could drink my wine in the shower'. Think about it, it's the ultimate multi tasking experience, wash your hair, shave your legs, all while sipping on a lovely glass of vino. Well, thanks to Urban Outfitters this dream could be a reality and all for the very reasonable price of €20. 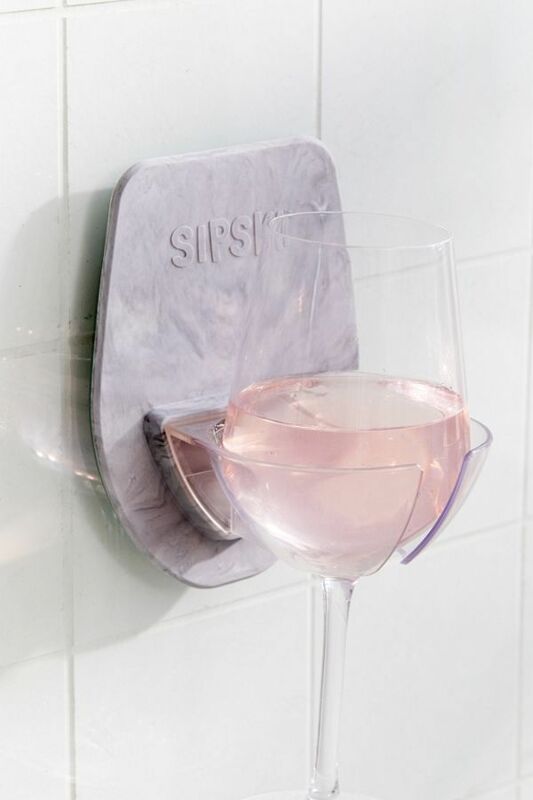 The Sipski shower wine glass holder has silicone backing that sticks to your shower or bath wall to hold your wine glass steady. This is the perfect gift for anyone who doesn't like to part with their wine, not even for a 10 minute shower. We all know them (or in my case are them), they guard their wine like Gollum from Lord of The Rings, 'my precious'. For this delightful red, white or rose or Buckfast, if that's your preference, is more than just a glass, it's an extension of your arm that cannot be parted with. If you are are a wine lover that's more partial to having a bath, then Amazon has you covered, once again proving that they sell everything you could possibly think of. 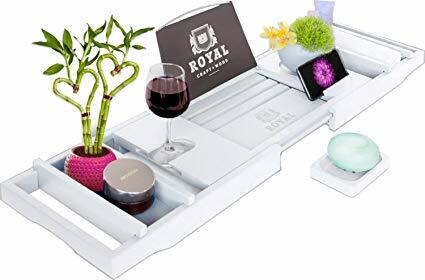 The royal craft wood bamboo bathtub caddy tray with both a wine and book holder, promises to be the ultimate bathing experience. I don't doubt it for a second. Approach with caution, there is a danger with this added comfort that you may never move past predrinks on a night out and subsequently never go out again. If you are willing to take the risk you can purchase the Sipski shower wine glass holder here or the bamboo bathtub caddy tray here.